When Chi Omega was first organized at Auburn (Alabama Polytechnic Institute) in 1921, only 36 women attended A.P.I. They lived in Smith Hall and in boarding houses throughout town. Four women created a local club called Sigma Beta Delta and set out to join a national fraternity. With their eyes set on Chi Omega, the four enlisted the help of Christelle Ferguson to become an affiliated chapter. 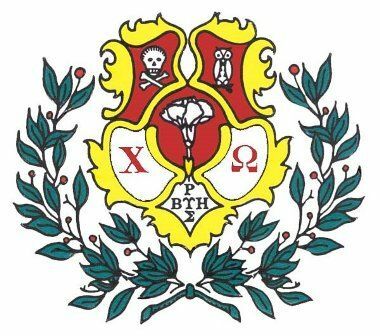 On September 9, 1923 Alpha Beta of Chi Omega received its charter with seven original members. We were the second sorority on Auburn’s campus. We look forward to continuing our tradition “to be womanly always and discouraged never” and welcoming our 91st pledge class on Aug. 13! Check out our Chi O national website to see what our sisters are doing all over the country! our Chapter was recently awarded the Chi Omega Chapter of Excellence Award for the 2017-2018 academic year.